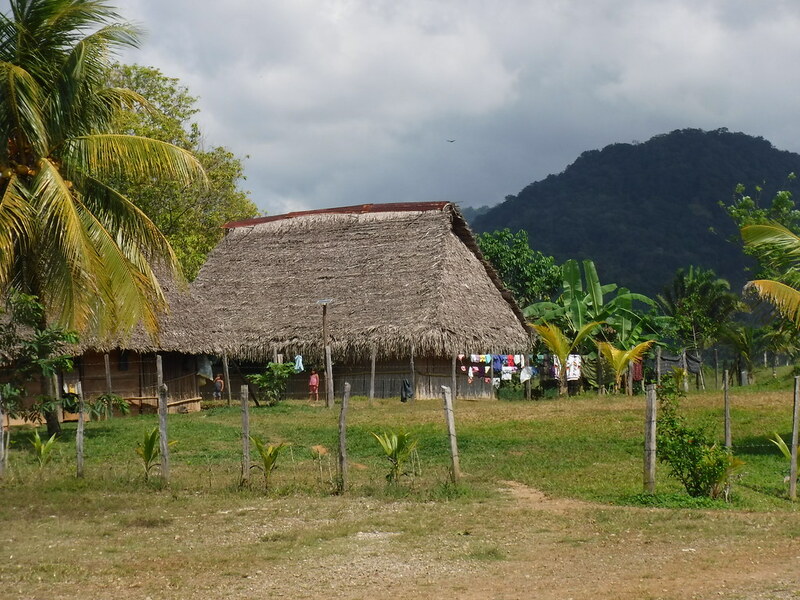 People/Customs: The population is mostly made up of ancestors of Spanish settlers, but there are also many descendants of the indigenous tribes of Colombia, some of which still inhabit their native lands. According to the most recent census, there are 48,786,100 people in Colombia. Most of the people in Colombia are Catholic. Language: The official language is Spanish. Native languages are spoken by various tribes. Some people speak English. Climate: There are several climate zones in Colombia, including Polar in the Nevada Ruiz, Alpine Tundra in the Sumapaz Paramo, Oceanic in Tota Lake Region, Mediterranean in Boyacá Department, Cold Desert near Villa de Leyva, Tropical Rainforest in the Amazon, Tropical Savannah in Los Llanos, Hot Desert in the Guajira Peninsula, and Tropical Wet and Dry in the St. Andrés and Providencia islands. Food/Farming: Coffee plantations are numerous in Colombia, and some of the regions produce fruits and vegetables (Bananas, Mangoes, Pineapples, Cucumbers, Melons, etc.). Fish and seafood are plentiful along the coasts. Beef, pork, and poultry, and eggs are produced. A popular kind of food is Arepas, a thick corn tortilla, often with cheese or butter, and served with meat, ceviche, or vegetables. Government: Colombia is a republic with a representative form of government not unlike the United States, with a constitution (1991) and three branches: legislative, judicial, and executive. It has a president, congress, and supreme court. The people participate in government by voting. Each department (state) has a governor which the people elect. Currency: Colombia uses Colombian Pesos; about 3,000CP are equivalent to one U.S. dollar. Art/Music/Culture: The people of Colombia are known for their dancing, like Salsa and Merengue. Public holidays include Año Nuevo (New Year’s Day), Día de los Reyes Magos (Epiphany), Día de San José (St. Joseph’s Day), Jueves Santo (Maundy Thursday) and Viernes Santo (Good Friday), Primero de Mayo (Labor Day), Ascensión del Señor (Ascension of Jesus), Corpus Christi, Sagrado Corazon (Sacred Heart), San Pedro y San Pablo (St Peter and St Paul), Declaración de la Independencia de Colombia (Independence Day), Battle of Boyacá, La Asunción (The Assumption of Mary), Día de la Raza (Columbus Day), Dia de los Santos (All Saints Day), Independencia de Cartagena (Independence of Cartagena), La Inmaculada Concepción (Immaculate Conception), and Navidad (Christmas Day). Each holiday has its special traditions. Before the Spanish settled Colombia in 1525, there were numerous native peoples who lived along the coasts, and in the mountains and jungles. Native tribes that made the most advanced goldwork and pottery were the Calima, Muisca, Nariño, Quimbaya, San Augustin, Sinu, Tayrona, Tierradentro, Tolima and Tumaco. There are over 80 indigenous tribes left in Colombia, each with its own language and government. 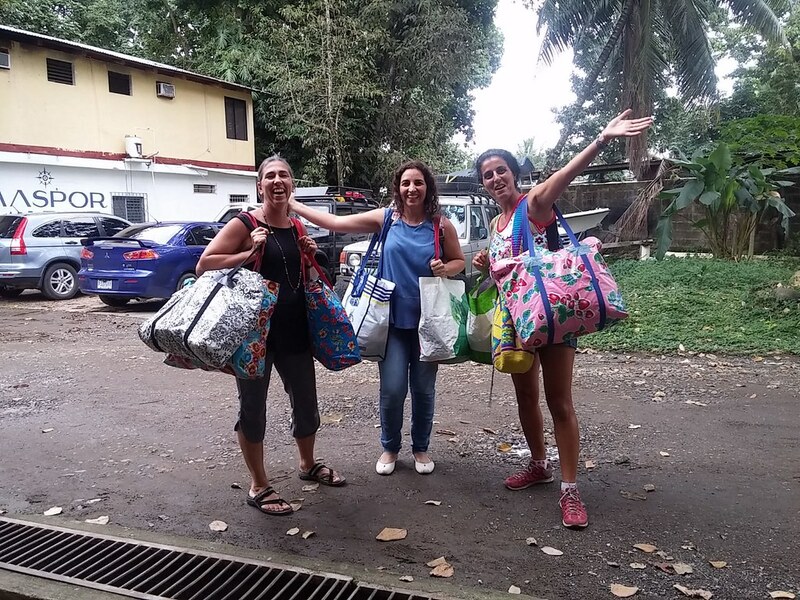 Here are some of the groups still existing: the Arhuaco, who are descendants of the Tayrona culture and make mochilas, a kind of woven bag used to store coca leaves, but are now sold as handbags for everyday objects. The Awa live in the Tumbes-Choco-Magdalena region, one of the most bio-diverse areas in the world, and are livestock keepers and vegetable farmers. The Kogi people, also called “Kagaba” which means Jaguar in their language, worship “Aluna” (Mother Nature) and live in stone and thatch huts like the Tayrona. The Muisca occupied about 18,000 square miles in Eastern Colombia before Spanish Conquest and are now active defenders of the country’s national resources. The Nukak are a small tribe of hunter-gatherers who remained undiscovered until the 1980s and are often called “the uncontacted people;” they use blow guns and darts covered in poison made from plants. The Wayuu are the nation’s largest tribe, numbering 450,000, but only a small part of them live in Colombia, the rest reside in Venezuela. Alonso de Odeja named Colombia after his companion, Columbus, although Columbus never actually landed there. The Spanish explorers were predictably excited by the amount of gold the natives possessed, and from their stories of great wealth further inland grew the legend of El Dorado, a city of gold. When they couldn’t find it, they began to colonize instead. Santa Marta was colonized in 1525, and when Cartagena was established in 1533, it became the center of trade in Colombia. It was also the exclusive slave-trading port. During the 16th and 17th centuries, the Spanish shipped in so many slaves for work on the Pacific coast (in mines and on plantations) that they numbered more than the remaining indigenous people. Spaniards were dominant in the New World for the entire Colonial period, and in 1717, Bogotá became the capital of the Kingdom of New Grenada, which comprised what is now Colombia, Ecuador, Panama, and Venezuela. Colombian towns began to revolt against Spanish rule, and when Napoleon put is brother on the Spanish throne, the colonies would not recognize the new monarchy. Towns began to declare their independence, and a Venezuelan military leader, Simón Bolivar, won 6 consecutive battles against the Spanish, liberating whole regions. Spain eventually reconquered the areas it had lost, with full colonial rule reestablished in 1817. A charismatic leader, often called “the Liberator,” Simón Bolivar had retreated to Jamaica, but he again rallied troops to defeat the Spanish in battle after battle until the Battle of Boyacá, which was won by Bolivar in 1819 with the help of British reinforcements. Colombia was finally independent. 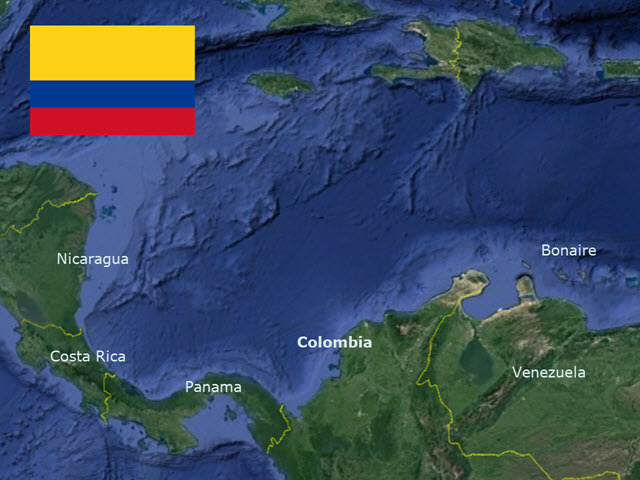 After independence, the leaders of the government created Gran Colombia, a state comprised of what is now Venezuela, Colombia, Panama, Ecuador, and part of Peru, Guyana, and Brazil. Simón Bolivar was elected president of Gran Colombia, and his second-in-command, Francisco de Paula Santander, was elected Vice President. However, while Bolivar was away fighting for the independence of Ecuador and Peru, Gran Colombia disintegrated. By 1830, the state had split into 3 countries, and Bolivar’s dream of a united South America was undermined during his lifetime. Rivalry had sprung up between conservatives and liberals, and in the 19th century, Colombia experienced no less than 8 civil wars. In 1899, the “War of One Thousand Days” was won by conservatives, leaving 100,000 people dead. In 1903, the United States of America took advantage of the internal division, and by sponsoring an independent republic, built the Panama Canal, which would eliminate the more costly and dangerous passage around Cape Horn. In 1921, Colombia recognized the sovereignty of Panama and ended the dispute with the United States. The conservative and liberal struggle recommenced in 1948 with the most destructive Colombian civil war, “La Violencia,” won by liberals and costing 300,000 lives. While the FARC (Fuerzas Armadas Revolucionarias de Colombia) and ELN ( Ejército de Liberación Nacional) lost popular support as communism fell, they used illegal activities and cocaine trade to finance the war. As the world’s largest producer, Colombia controlled 80 to 90% of the cocaine trade. There were small mafias and cartels in the early ’70s that grew into large organizations in the 80’s which had their own plantations and transportation systems. In the boom years, the Medellín Cartel, led by Pablo Escobar, became the principle mafia, whose bosses established a new political party, newspapers , and public housing projects. By 1983, Escobar’s personal wealth was estimated to be around $2 billion, making him one of the richest criminals in the world. When the government gave a strong adverse response to cartel trade, the traders disappeared from the public sphere and proposed an uncharacteristic “peace treaty” to president Belisario Betancur, offering to pay off Colombia’s foreign debt. The government, suspecting something askew, refused, and conflict escalated between the government and the mafia. It took a 1500-man special unit 499 days to track down Escobar until they found and killed him in December 1993. The U.S. made trade agreements with the Andean Countries, and Colombia’s exports to the rose 50% between 2003 and 2007. Around 2009 the fighting started to abate, and today, despite the remaining problems with government corruption, Colombia is a more peaceful place, drawing visitors from around the world to enjoy its natural beauty and modern, urban areas. There are two large mountain ranges in Colombia, the Sierra Nevada, and the Andes, the largest in South America. Colombia is the second most-Biodiverse country in the world, next to Brazil, a country approximately 7 times bigger (biodiversity is the ability for an area to sustain many different types of species). 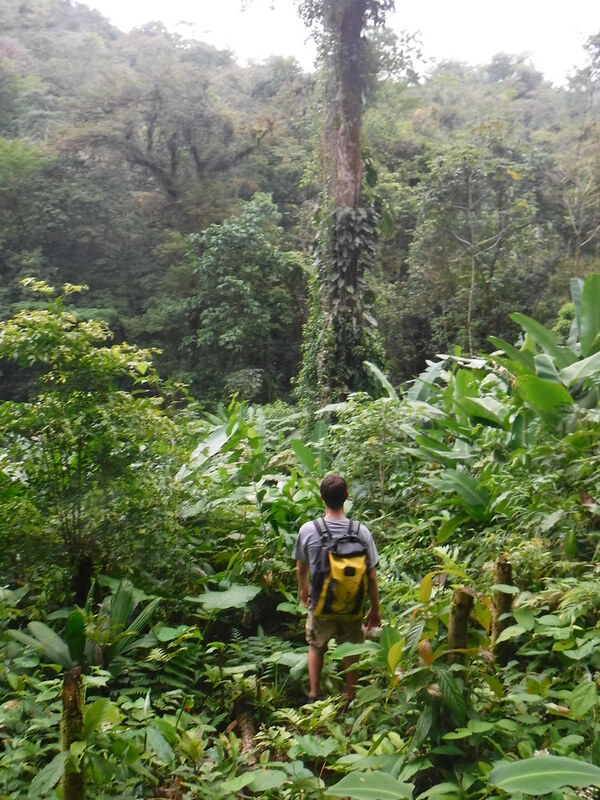 Colombia is home to about 10% of the species on earth. Animals you might find in Colombia include: Howler Monkeys, Toucans, Sloths, Parrots, Iguanas, Snakes, Poison Dart Frogs, Nine-banded Armadillos, many bat species, Tamarins, Jaguars, Agouti, Nutria, Capybaras and other Rodents Of Unusual Size. Because Columbia is so diverse, each habitat has different plants and animals. In desert regions, you might see cacti and succulents, while in the Amazon, you might see huge jungle trees draped in vines, and tropical plants at each layer of the canopy. Hike to the Ciudad Perdida (Lost City) in the Sierra Nevada, go to the beaches on the Caribbean coast, tour coffee or cacao plantations in the mountains, hike or camp in Tayrona National Park, see the Old Walled City of Cartagena, go on a tour of the Amazon rainforest or of the Guajira desert, enjoy theaters and museums in large cities like Medallin or Bogotá, or visit the islands of Providencia and San Andres. “Colombia History.” Lonely Planet Travel Information, http://www.lonelyplanet.com/colombia/history, January 2017. People/Customs: The population of Bonaire comes from a mixture of European and South American people, and their culture reflects this. They also have a lot of English-speaking tourists and expatriates. Holidays include New Year’s Day, Good Friday, Easter Sunday, Easter Monday, Labour Day, Ascension Day, Whit Sunday, Emancipation Day, Sinterklaas’ birthday (December 5-6) Christmas Day, Boxing Day. Language: Dutch is the official language but English and Spanish are commonly spoken. The locals use a dialect called Papiamento, a mixture of Dutch, English, French, and Spanish. Climate: Average yearly temperature is 82°F. Average yearly rainfall is less than 22”, falling mostly between October and January. Food/Farming: Salt is one of the main exports on Bonaire. The Cadushy cactus is edible and its juice is distilled to make alcohol. A kind of maize (corn) is grown in years with enough rainfall. Government: Bonaire is a special municipality of the Netherlands since the dissolution of the Netherlands Antilles in 2010, and as such, has a mayor, alderman, and municipal council. Currency: The US Dollar is used here to accommodate incoming tourists. 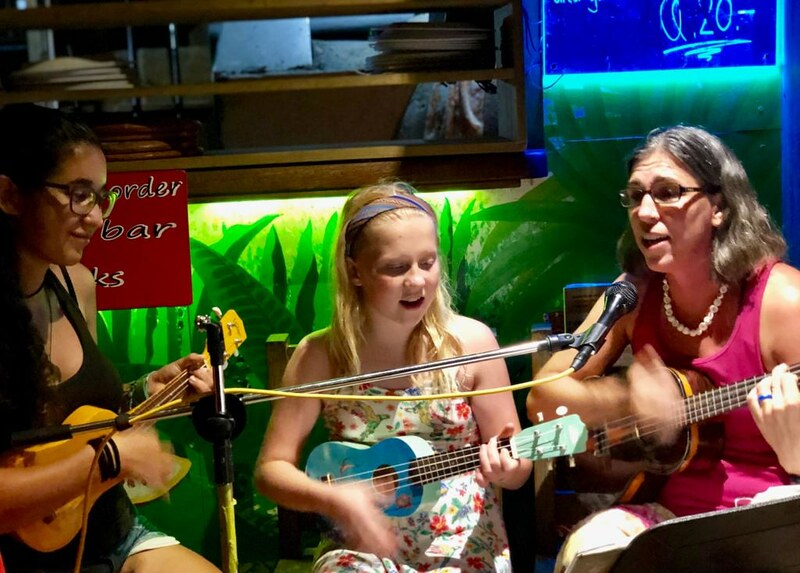 Art/Music/Culture: Colonists from Africa, Portugal, Spain, England, and Holland have contributed to the culture, music, and poetry found on Bonaire. In 1499 Amerigo Vespucci claimed Bonaire for Spain. In 1636 the Dutch took the island, and slaves were imported to work on the salt flats in the late 1600s. The Spanish, Dutch, and English fought over Bonaire but it was conquered by the Dutch in 1816. In 1834 slavery was abolished and the salt industry faltered while the newly freed people became accustomed to the new way of life. Many immigrated to Venezuela for jobs while the island settled into its stride. In the 20th century, telephones connected Bonaire to the outside world and cars and trucks made transportation and delivery possible. Oil refineries opened on Aruba, and gave people from Bonaire better paying jobs closer to family and home. The first airport was built on the island while American troops were stationed there during World War II. After the war, tourism was brought to Bonaire and the island began to thrive. Aruba, Bonaire, Curaçao, Saba, Sint Eustatius, and Sint Maarten became the Netherlands Antilles in 1954, and in 2010 they became part of the Kingdom of the Netherlands, sometimes referred to as the Dutch Caribbean. Bonaire is not volcanic, but has a coral limestone foundation, and there are several salt flats on the island. It is dry and rocky with desert scrub and cacti. Common trees seen here are Brazil Wood, Divi divi, and Mesquite Acacia. The Lora and Prikichi Parakeet can be seen here, and the wild flamingos like the salt pans. The Yellow-shouldered Amazon parrot is an endangered indigenous species. Underwater, the entire coastline is lined with coral reefs and has plentiful sea creatures, including tropical fish, turtles, and marine invertebrates. Diving, snorkeling, kiteboarding, and windsurfing are popular water sports and you can also visit the wild flamingos and donkey colonies on the island. Washington Slagbaai National Park has miles of trails and includes Mount Branderis, the highest point on the island at 785 feet. “About Bonaire.” December 7, 2016, The Bonaire Official Site, www.tourismbonaire.com. Digital Marketing by Tambourine. 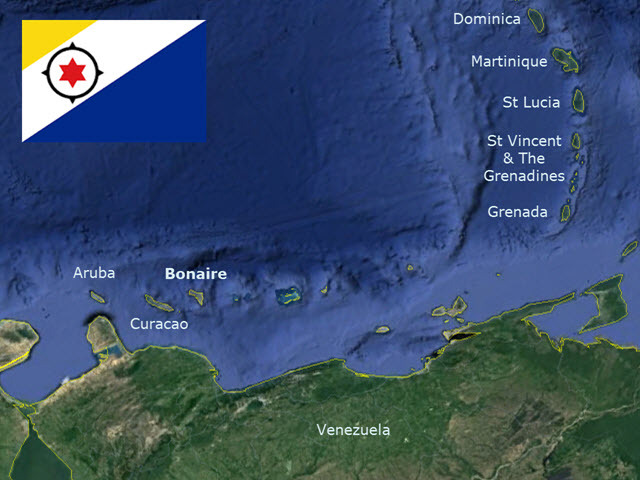 People/Customs: There are around 100,000 people on Grenada, Carriacou, and Petit Martinique. Most are descended from African slaves. Climate: In the winter the high is around 81°, the low, 72°. In the summer, the high is 86°, the low, 77°. Hurricane Season is from June to November. This is also the rainy season. Food/Farming: Grenada is the world’s second largest nutmeg producer, but the island also exports mace, cloves, cinnamon, cacao/chocolate, rum, and bananas. Other tropical fruits like citrus, mangoes, avocados, soursop, breadfruit, sugar apples, and passionfruit are grown for local consumption. Government: Grenada is an independent nation inside the British Commonwealth. Currency: The East Caribbean Dollar (EC) is used here. Art/Music/Culture: Soca and Calypso music are popular here, especially during Carnival (the first week of August). Other holidays include New Year’s Day, Easter Monday, Labour Day, Whit Monday, Emancipation Day, Christmas Day, and Boxing Day. Grenada was sighted by Columbus in 1498, but no colonizers landed until 1609 when English settlers planned to farm tobacco on the island. The native Caribs drove them off the island, but in 1650 a French governor bought Grenada from the natives for hatchets, beads, and brandy. In 1651 French soldiers attempted to enslave the Caribs, but rather than become captives and be taken to Europe, most jumped off of a huge cliff, now called Leaper’s Hill or Caribs’ Leap. The French imported African slaves and plantations of indigo, tobacco, coffee, cocoa, and sugar thrived in the fertile soil of Grenada. England and France fought over the island until 1783 when the Treaty of Paris was signed and Britain took over Grenada. After slavery was abolished in 1834, the plantation became obsolete and major production of sugar stopped. In 1877 Grenada became a crown colony, and gained independence as a nation inside British Commonwealth in 1974. In 1979, Maurice Bishop, as part of the New Jewel Movement, led a coup against the government, which was perceived to be corrupt. He became prime minister of the People’s Revolutionary Government. He was popular because he tried to improve common people’s lives, starting schools, medical clinics, and farmer’s co-ops. Division within the party led to a military overthrow and he was placed under house arrest in 1983. There was public outcry and a large crowd of people stormed Fort George. The military fired into the crowd and Bishop was taken prisoner and executed with several of his followers. During the period of unrest that followed, the United States and several Caribbean nations got involved, invading Grenada and attempting to quell the violence and reinstate a democratic leadership. Elections were held again in 1985 and Herbert Blaize became prime minister. The people responsible for Maurice Bishop’s murder were sentenced to life in prison. To this day, Bishop is viewed as a national hero, and the United States is admired for its role in the conflict. Breadfruit, flamboyant, and palm are the most numerous trees, and Mona monkeys, 9-banded armadillos, opossums, hummingbirds, mongooses, and bats can be found on the island. The island is mountainous with tropical rainforest. Several smaller islands, the largest of which are Carriacou and Petit Martinique are also part of Grenada. Snorkel in Carriacou and Petit Martinique, as well as the underwater sculpture park in Dragon Bay, go to the Beach at Grande Anse, Morne Rouge, or La Sagesse, hike in the Grand Etang National Park, go on a nutmeg factory tour, chocolate tour, or rum distillery tour, and swim in Concord Falls or Seven Sisters Falls. Bendure, Glenda and Ned Friary. “Grenada.” Lonely Planet Guide to the Eastern Caribbean, 2nd Edition. 1998: Lonely Planet, Hawthorn, Australia. 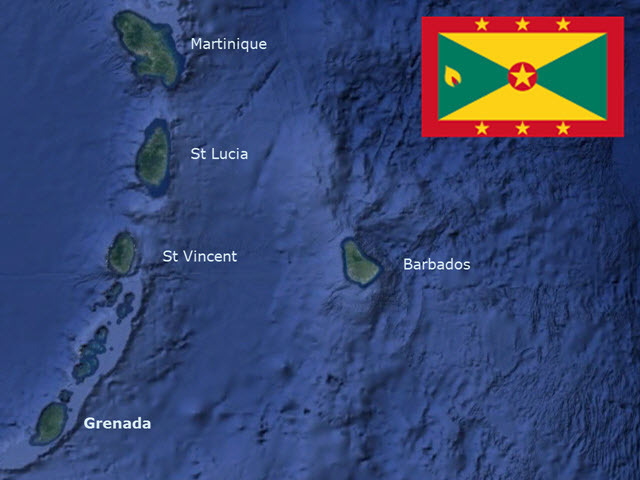 People/Customs: St. Vincent and the Grenadines has a population of 112,000, mostly descended from African slaves, with some Scottish, English, Irish, French, Asian, and Caribs. Language: English, with locals speaking a French Patois. Climate: In January the daily high temperature is 81°, and the low is around 72°. In July the average daily high is 86°, while the low averages 76°. Hurricane (rainy) season is June to November. Food/Farming: Bananas, Arrowroot, Coconut, Cocoa, and Spices. 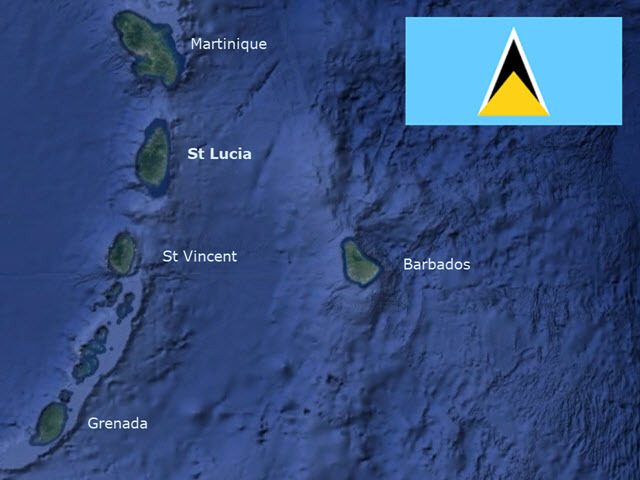 Government: St. Vincent and the Grenadines is an independent nation within the British Commonwealth. Art/Music/Culture: Reggae, Calypso, and Steel Band music is popular in St. Vincent, and common sports are cricket and football (soccer). Spanish explorers discovered St. Vincent in the 1500s, and in the early 1700s French settlers established plantations on the island. The British and French fought over St. Vincent and the Grenadines and in 1783 the Treaty of Paris gave the islands to Britain. In 1812 the Soufrière volcano erupted and wiped out cocoa, coffee, and sugar plantations. Most plantations were abandoned after slavery was abolished in 1834, but those that had remained in use were further diminished by a hurricane in 1898 and another volcano eruption in 1902. Small farmers then continued to use the plantations as farmland. In 1969 St. Vincent and the Grenadines became a self-governing state of Britain, and gained full independence as a nation inside British Commonwealth in 1979. St. Vincent has an elevation of 4048 feet. St. Vincent is around 133 square miles, and the Grenadines, consisting of several islands, (the main ones being Bequia, Canouan, Mustique, Mayreau and the Tobago Cays, and Union), are around 17 square miles in all. The St. Vincent Parrot is the national bird and it is endangered. 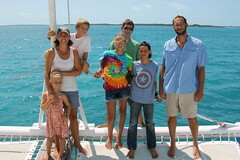 There are also protected coral reefs with many species of fish and sea turtles. There are botanical gardens on St. Vincent, a whaling museum on Bequia, and the Tobago Cays have a Sea Turtle Sanctuary. Union Island is known for kiteboarding. Bendure, Glenda and Ned Friary. “St. Vincent and the Grenadines.” Lonely Planet Guide to the Eastern Caribbean, 2nd Edition. 1998: Lonely Planet, Hawthorn, Australia. People/Customs: approximately 150,000 people live on St. Lucia, mostly descendants of slaves or people who immigrated from other Caribbean nations to work in the hospitality industry. Climate: In the winter the high is around 81°, the low, 72°. In the summer, the high is 86°, the low, 77°. Hurricane season (rainy season) is from June to November. 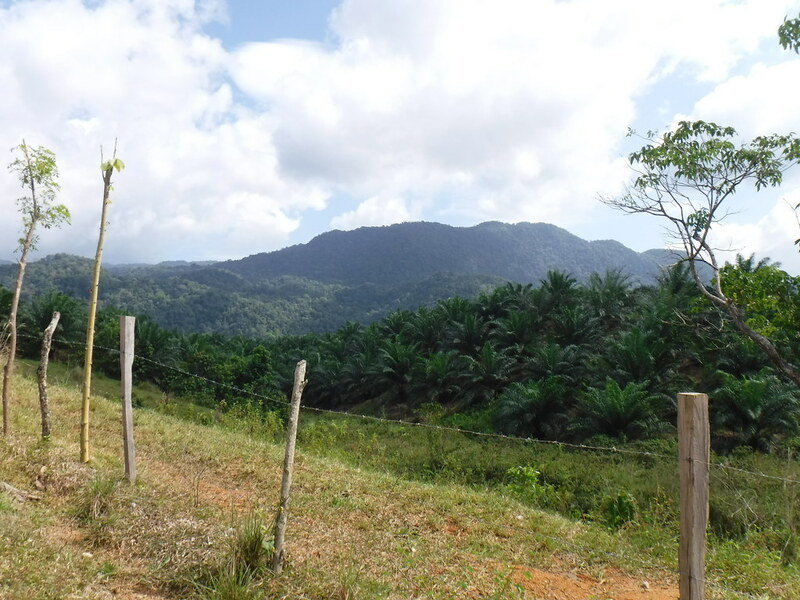 Food/Farming: Bananas, Coconuts, and Cocoa are the most productive crops on St. Lucia. They also export rum made from sugar cane. Government: St. Lucia is an independent state within the British Commonwealth, represented by a Prime Minister. Art/Music/Culture: English, French, African, and Caribbean cultures influence St. Lucia. Carnival is celebrated in July. 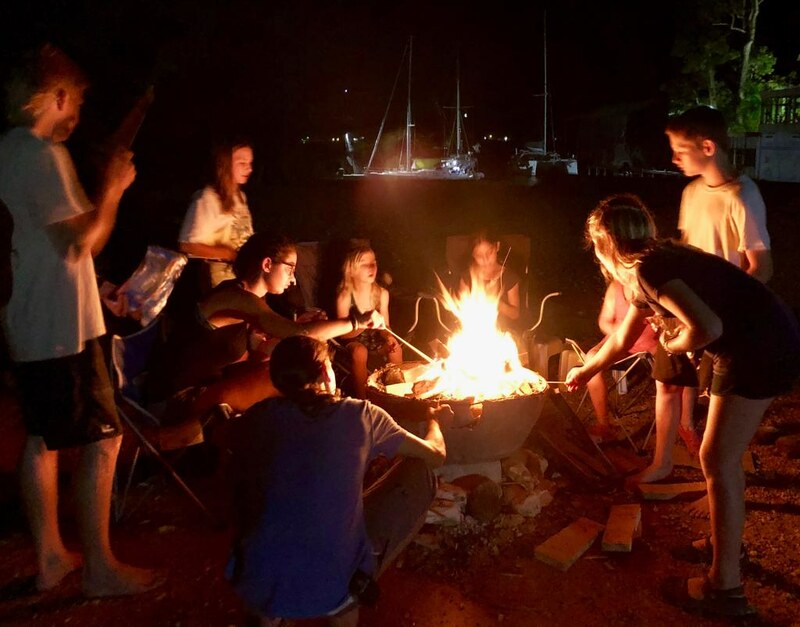 The Spanish discovered St. Lucia in the 1500s and the British later attempted to settle the island, but after 2 years of attacks from the Carib tribes living on the island, the effort was abandoned. The French took interest in St. Lucia and struck an agreement with the Caribs. The first town, Soufrière, was settled in 1746 by the French and plantations were established on the island. Then for the next 150 years the British and French traded control of the island until 1814 when the Treaty of Paris ceded St. Lucia to the British. African slaves worked sugar plantations until they were emancipated in 1834. French influences can still be seen in the music, food, and city names. English became the official language in 1842, and locals speak a French-based Patois. Tourism is now the main industry in St. Lucia, though agriculture still accounts for about a third of the economy. St. Lucia is 27 miles long, 14 miles wide, and has roughly 238 square miles. The highest peak is Mt. Gimie, the second highest is Gros Piton, and the third is Petit Piton. Much of St. Lucia is covered in rainforest, complete with tropical fruit trees and animals like birds, insects, and frogs. The Jacquot Parrot is the island’s national bird and almost went extinct. Visit fort ruins on Pigeon Island, Castries Cathedral of the Immaculate Conception, the beach at Rodney Bay; scuba dive or snorkel near Soufriere and the Pitons; spend the day at Marigot Bay (Capella Resort or Doolittle’s on the beach); rent sailboats (Rodney Bay, Marigot Bay or Sugar Beach); hike Gros Piton or climb Petit Piton, hike to the waterfalls or sulfur springs; or go to the “drive thru volcano” and mud baths. Bendure, Glenda and Ned Friary. “St. Lucia.” Lonely Planet Guide to the Eastern Caribbean, 2nd Edition. 1998: Lonely Planet, Hawthorn, Australia. People/Customs: An estimated 400,000 people live on Martinique. 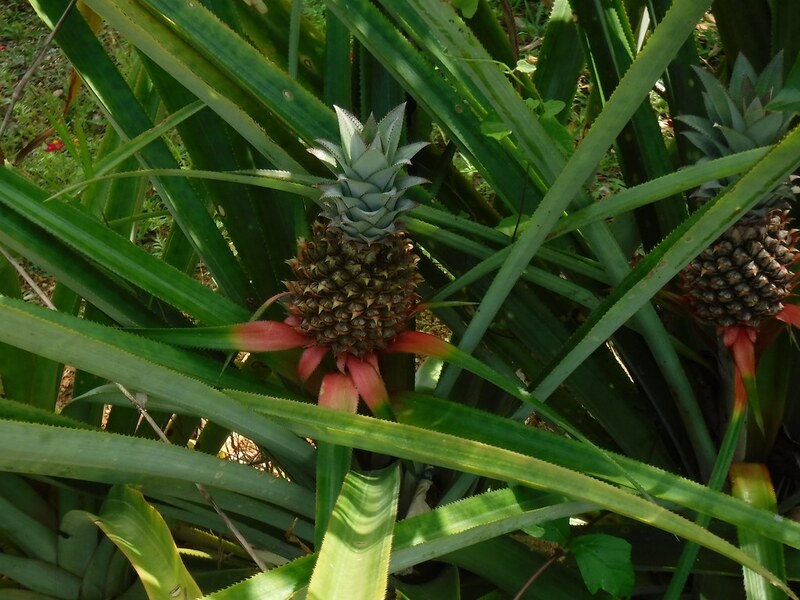 Food/Farming: Sugar cane, bananas and pineapples are the leading crops. “Rhum Agricole” is distilled from sugar cane juice for local use and export. 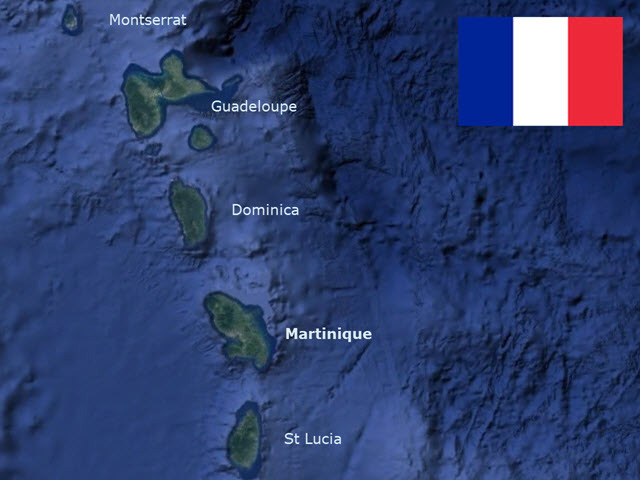 Government: Martinique is an Overseas Territory of France and is represented in parliament by 4 deputies and 2 senators. Currency: Euros are used in Martinique. Art/Music/Culture: French and Creole/African influences affect food, language, art, music and culture. The food is French-style cooking, altered to use tropical fruits and vegetables. Columbus sighted Martinique in 1493, and sometime later French settlers established a fort there. The Caribs fought against the French but were exterminated by 1660. In 1636 King Louis the XIII authorized the transportation of slaves to work on the sugar plantations. From 1794 to 1815, England had control of the island during the French Revolution. French took back Martinique after the Revolution in a time of stability. The capital of the island, often called “the Paris of the Caribbean,” was St. Pierre until 1902, when Mount Pelée erupted and destroyed St. Pierre and killed 30,000 people. Fort-de-France was made the permanent capital. St. Pierre was rebuilt but never returned to its former state. In 1946 Martinique became an Overseas Department of France, and in 1974 it was promoted to a Region of France. Today it is a major tourist destination for French-speaking people. Martinique is a volcanic island with an area of 1,080 square kilometers and its highest point is 1,397 meters above sea level. Most of the island is covered in rainforest. Anoles, snakes, and opossums are common; among the endangered species are the Martinique Trembler, the White-breasted Trembler and the White-breasted Thresher. In St. Pierre, take a walking tour or Petit Train Tour (if you speak French) of the old city and ruins, visit the volcano museum to see artifacts from the eruption of Mt. Pelée, or hike the aqueduct built by slaves. Go to the beach, zoo, or Botanical Gardens in Le Cabret. In Fort de France, there are shops, parks, a library, and an old fort. There are traditional sailboat races, “La Rond Des Yoles,” as part of Bastille day celebrations in July. In St. Anne, there are beautiful beaches, water sports and a floating water fun park. Eating is a major attraction in Martinique—go to ice cream shops, crêpe stands, patisseries and boulangeries (for pastries and bread), and shops with cheese, wine, and chocolate. Bendure, Glenda and Ned Friary. “Martinique.” Lonely Planet Guide to the Eastern Caribbean, 2nd Edition. 1998: Lonely Planet, Hawthorn, Australia. People/Customs: Population is around 71,000, with one third residing in the capital. There are about 3000 native Caribs living in the Calingo reservation area. Climate: In the winter the high is around 81°, the low, 72°. In the summer, the high is 86°, the low, 77°. Hurricane Season is from June to November. Food/Farming: bananas, coconuts, spices, coffee, cacao, citrus, cucumbers, melons, and a variety of tropical fruits are grown for export as well as local use. There is a coconut processing plant on the island which produces oil for cooking and cosmetics. Government: Dominica is an independent republic within the British Commonwealth. Art/Music/Culture: Holidays are New Year’s Day, Carnival, Good Friday, Easter Monday, May Day, Whit Monday, August Monday (Emancipation Day), Independence Day, Community Service Day, Christmas Day, and Boxing Day. The culture is influenced by the French islands to the north and south. Columbus named the island Dominica in 1493 because he first sighted the island on a Sunday, and in Italian Doménica means Sunday. The Spaniards took little notice of Dominica because there was no gold and the natives defended their island fiercely. In 1635 France attempted to colonize Dominica, but were thwarted by the Caribs. The French and British agreed to leave the island to the natives in 1660, but the French settlers from Guadeloupe and Martinique secretly established coffee plantations on the north end of Dominica. In the 1720’s a French governor came to take official control of the island. 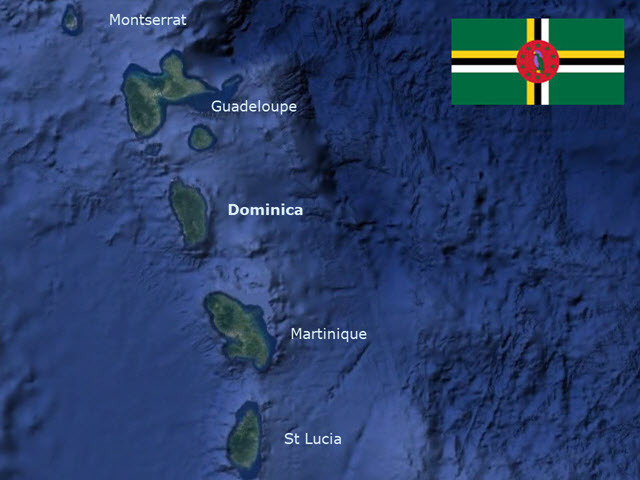 For the rest of the 18th century the British and French fought over Dominica until the Treaty of Paris was signed in 1763, officially giving the island to the British. The Europeans imported slaves from Africa to work the land until emancipation in 1834. Dominica became an associated state in 1967, and in 1978 it gained independence as a republic within British Commonwealth. 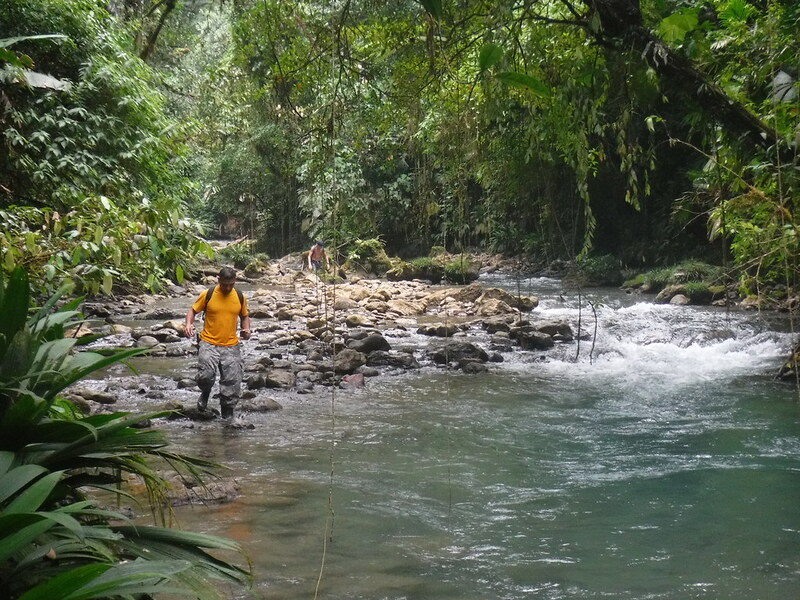 The economy is now based largely on agriculture and tourism, with the natural beauty of the island a large draw for those who love hiking, waterfalls, and snorkeling/diving. 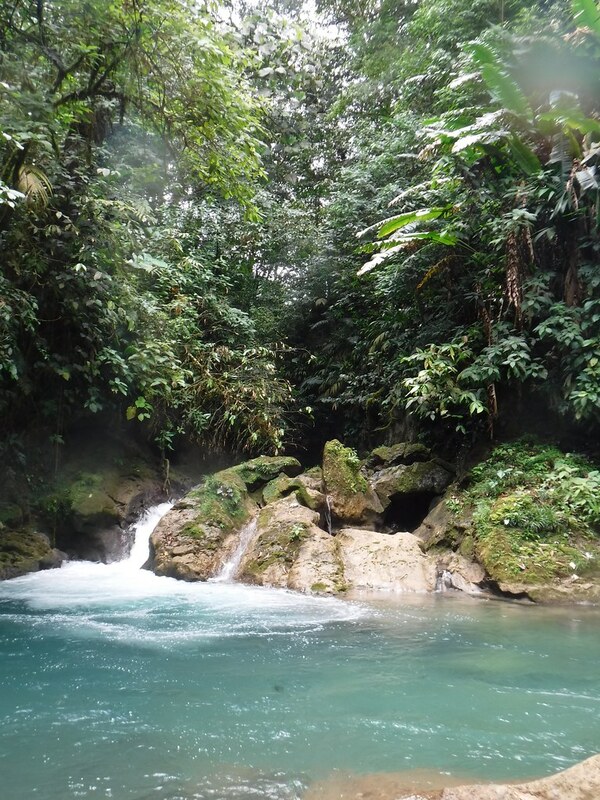 Hike 16 miles to the largest boiling lake in the world (heated by the magma chambers below), take a river tour and go to the rainforest café, visit waterfalls, and hike or snorkel in Cabrits National Park and visit the old fort. Champagne reef to the south has underwater volcanic vents which create bubbles in the water, as well as warm sulfur springs in Soufriere Bay popular with bathers. Bendure, Glenda and Ned Friary. “Dominica.” Lonely Planet Guide to the Eastern Caribbean, 2nd Edition. 1998: Lonely Planet, Hawthorn, Australia. People/Customs: The population on Antigua is approximately 65,000, on Barbuda, 1200. About 90% of the population are of African descent, but there are also British and Portuguese roots on the islands. Food/Farming: There are local fishermen in the waters around Antigua and Barbuda, and banana trees are grown. Due to the plentiful mangoes, a mango festival is held every summer. 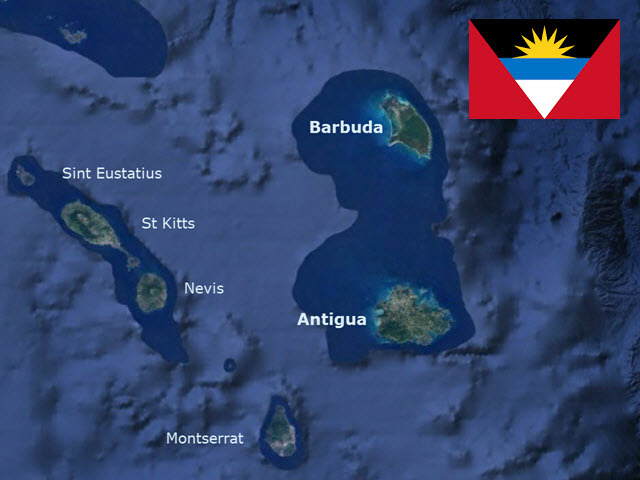 Government: Antigua and Barbuda are an independent nation inside the British Commonwealth and have a Prime Minister. Currency: Antigua and Barbuda use the East Caribbean Dollar. Art/Music/Culture: Cricket is the most commonly played sport here, and Calypso and Reggae are popular musical styles. Columbus sighted this island in 1493 and named it after a church in Seville, Spain. The British colonized Antigua and grew indigo and tobacco. In 1674 Christopher Codrington established Betty’s Hope, where one still can go to see how sugar cane was processed. Slaves were imported from Africa for work on the plantations and rum distilleries. Barbuda was used mainly for farming food for the slaves. Several fortifications were built around Antigua. The British used Antigua for careening and repairing ships, starting in the 1740’s. Horatio Nelson served a few years in English Harbour; a museum at Nelson’s Dockyard commemorates his time there. By the end of the 18th century the demand for sugar dropped and the economy crashed. Slavery was ended in 1834, and the sugar plantations have been left inoperable since. In 1967 Antigua became an Associated State of the United Kingdom. It won its full independence in 1981. Tourism is now the island’s main industry, with many sailing regattas attracting a large international crowd. One of Antigua’s interesting land forms is a natural bridge, Devil’s Bridge, caused by tides and wave action. The island is volcanic, 108 square miles, and 1319 feet high at the topmost point. Open plains and scrublands are abundant. Antigua also has many white sand beaches, popular with tourists. Kiteboarding, Devil’s Bridge, “365 beaches, one for each day of the year” including the popular Darkwood Beach, Five Islands Harbour, Sailboat Racing, Jungle Zip-line tour, Nelson’s Dockyard and Shirley Heights, Betty’s Hope, Snorkeling, Frigate Bird Sanctuary on Barbuda. Bendure, Glenda and Ned Friary. “Antigua and Barbuda.” Lonely Planet Guide to the Eastern Caribbean, 2nd Edition. 1998: Lonely Planet, Hawthorn, Australia. People/Customs: There are currently around 4000 to 5000 inhabitants living on Montserrat. Most are descendants of African slaves, though there are also some Irish (it is sometimes called the Emerald Isle of the Caribbean). Language: English, sometimes with an Irish accent. Climate: In the winter the average low is 70°, the average high is 83°. In the summer, the average low is 74°, and the high is 88°. Average annual rainfall is 59 inches. Hurricane season is from June to November. Food/Farming: Very little produce is now grown on Montserrat because the damage from volcanic eruptions was so severe. Government: Montserrat is a British Crown Colony managed by a Governor representing the Queen. He supervises the executive council and the legislative council. The economy relies mainly on tourism. Art/Music/Culture: George Martin, music publisher for the Beatles, founded a recording studio, called Air Studios, so that famous musicians could come to Monserrat to unwind. After the 1997 eruption, Elton John, Sting, Paul McCartney, and Eric Clapton staged a fund-raising concert in London, raising over $1.5 million for housing and relocation in Montserrat. Holidays celebrated are New Year’s Day, St. Patrick’s Day, Good Friday, Easter Monday, Labor Day, Whit Monday, Queen’s Birthday, August Monday (Emancipation Day), Christmas Day, Boxing Day, and Festival Day. When Columbus first sighted this island in 1493, he named it Montserrat because the terrain reminded him of the Monastery of Montserrat near Barcelona, Spain. The first settlers here were Irish Catholics moving away from Protestant rule on St. Kitts. In 1632 more immigrants arrived from the New World Colonies and Europe. Sugar cane was thriving, but the managers of plantations needed more workers, so over the next century they imported thousands of African slaves. A slave-based economy developed on Montserrat as on the other British territories in the West Indies. When slavery was abolished in 1834, most of the plantations were abandoned. Some were taken over by small farmers who planted lime trees, but eventually deteriorated. 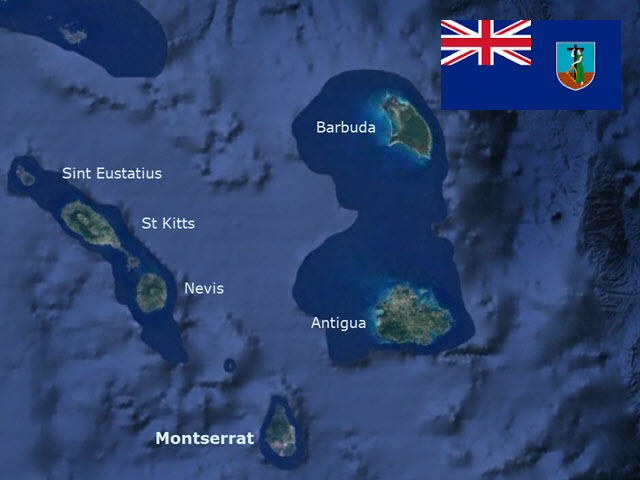 Britain had had almost continuous control of Montserrat, except for a while in 1665, when France made a bid for the Island, but the Treaty of Paris gave it to Britain permanently. Montserrat has remained a Crown Colony since. One of the defining features of Montserrat is a volcano that dominates the whole southern half of the island. The Soufrière Hills volcano erupted in July of 1995, causing the inhabitants of the capital city, Plymouth, to evacuate the most populated area on the island. Salem became the temporary capital while ash was shoveled off the buildings. Volcanologists from the United States and the United Kingdom provided information on where it would be safe to live. The temptation of rich volcanic soil lured farmers into exclusion zones, and when the volcano erupted a second time, 19 people were killed. Over 50 were air-lifted by helicopters to hospitals in Guadeloupe and Martinique. Even the Montserrat Volcano Observatory had to be moved to a safer location. Then, in August 1997, the Soufrière Hills volcano came to life a third time, covering Plymouth in pyroclastic flow, burning and destroying around 80󠇯 percent of the buildings. The capital will probably never be safe again. The Flora of Monserrat includes rainforests, fern forests, and of course, lots and lots of mango trees. The animals on this island are mainly comprised of iguanas, agouti, crapaud frogs, 7 kinds of bats, and many species of tropical birds. Visit the MVO (Monserrat Volcano Observatory), take a taxi tour of the island to view the destruction from the volcano, go to the beach or go snorkeling. Bendure, Glenda and Ned Friary. “Montserrat.” Lonely Planet Guide to the Eastern Caribbean, 2nd Edition. 1998: Lonely Planet, Hawthorn, Australia. People/Customs: The population on St. Kitts and Nevis combined is around 45,000, 90 percent of which are descendants of African slaves. Food/Farming: Tropical fruits and vegetables as well as sugar cane are grown on the larger island of St. Kitts, but there is no sugar cane grown on Nevis anymore, only some fruits and vegetables for local use. 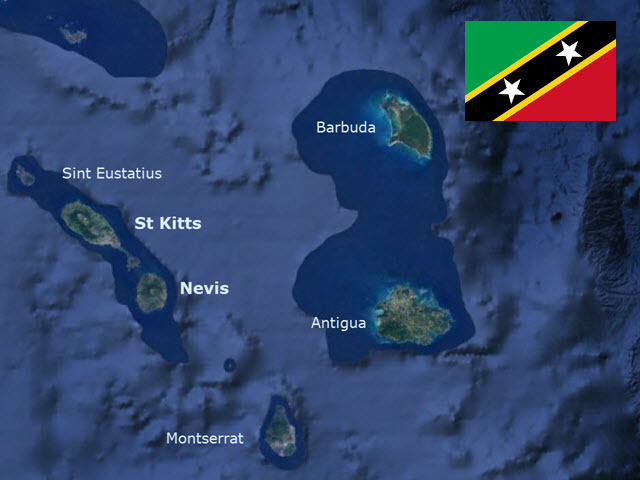 Government: The St. Kitts & Nevis Federation is an independent state in the British Commonwealth and is the smallest nation in the western hemisphere. It has a Governor-General, a National Assembly (legislature) and a Prime Minister. The economy relies heavily on tourism, but some local fruits and vegetables are grown. Art/Music/Culture: The culture of this island is a mix European, African, and West Indian traditions. Most islanders are Anglican. St. Kitts has a popular dance troupe, the Masquerades. The first British colony was established on St. Kitts (short for St. Christopher) in 1623 by Thomas Warner. France took over part of the island, and the British and French together exterminated all of the Carib tribes living there, before Britain ousted the French from their territory. The French repeatedly took control of the island, only to have it taken back again by the British until the 1783 Treaty of Paris declared St. Kitts and Nevis to be under British authority for good. During that time sugar plantations were very prosperous. In 1816 Britain attempted to link the British Virgin Islands, Anguilla, and St. Kitts and Nevis into one colony, calling it the West Indies Federation. The federation collapsed, and Britain tried to rebuild it without the Virgin Islands. Anguilla rebelled against the alliance and succeeded in retaining its connection with Great Britain, while St. Kitts and Nevis became a federated state inside the commonwealth. Both islands are volcanic, with grassy coastlines and rainforest interiors. 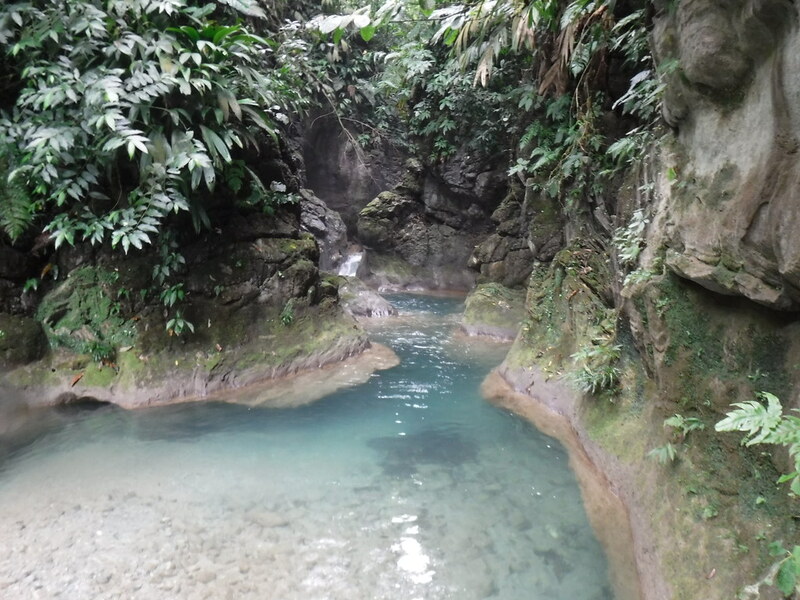 Nevis has hot springs, a freshwater spring that is heated by geothermal vents from the volcano. 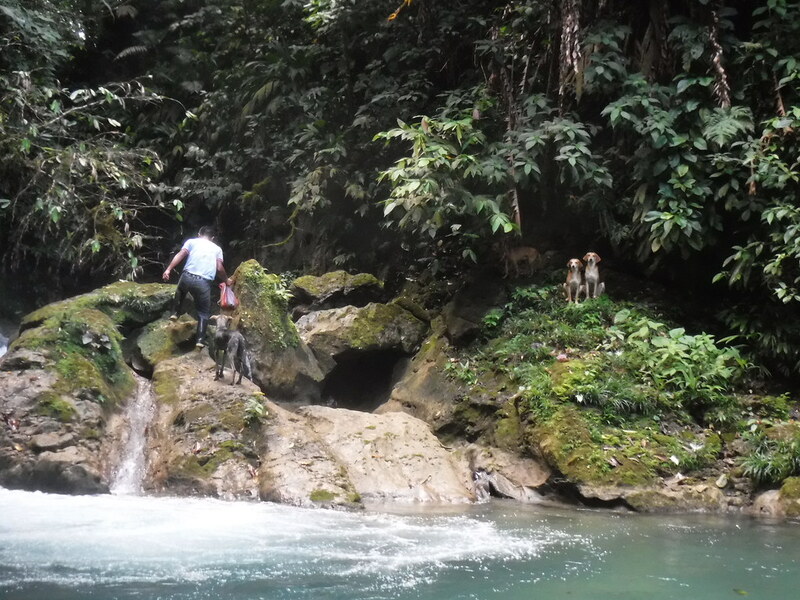 Nevis is famous for its monkeys, and St. Kitts is also populated with numerous goats and chickens. Tropical trees such as mango and cashew grow abundantly on the islands, as well as the bright orange “flamboyant” or flame tree. St. Kitts is a populous island with many options for tourists, including hiking, taxi tours and an old British fort. It is a cruise ship port with a shopping district, water sports, and catamaran cruises. Nevis is quieter, with nice beaches, beach bars, and a few nice resorts. The first hotel in the Caribbean opened in Nevis in the 18th century, near the hot springs, which were reputed to be good for the health. The hotel, made of volcanic stone, now houses government offices, but one can still go and bathe in the hot springs, some of which reach 117°F. There are two museums in Nevis, one of which is the birthplace of American statesman Alexander Hamilton; the other is dedicated to Lord Horatio Nelson, whose wife, Fanny Nisbett, was the governor’s niece (her family’s sugar plantation is on the windward side of the island). Two of Nevis’ old sugar plantations were renovated and made into upscale hotels with restaurants and beautiful gardens. These sights can all be seen on a taxi tour of the island. Bendure, Glenda and Ned Friary. “St. Kitts and Nevis.” Lonely Planet Guide to the Eastern Caribbean, 2nd Edition. 1998: Lonely Planet, Hawthorn, Australia.